organized by Green Angels with collaboration of the Hellenic Institute for Production of Products and Services of the EEDE. 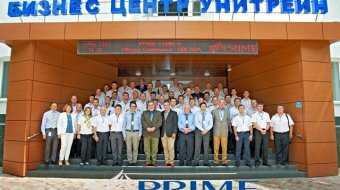 Prime Tankers conducted the 3rd annual Officers Conference in Odessa Ukraine 8-9 October 2018. An enthusiastic and abundant audience of Officers offered their comments, opinions and ideas on all the discussed topics, while Prime’s delegation including the Director of Operations had the opportunity to present the Company’s plans and objectives. 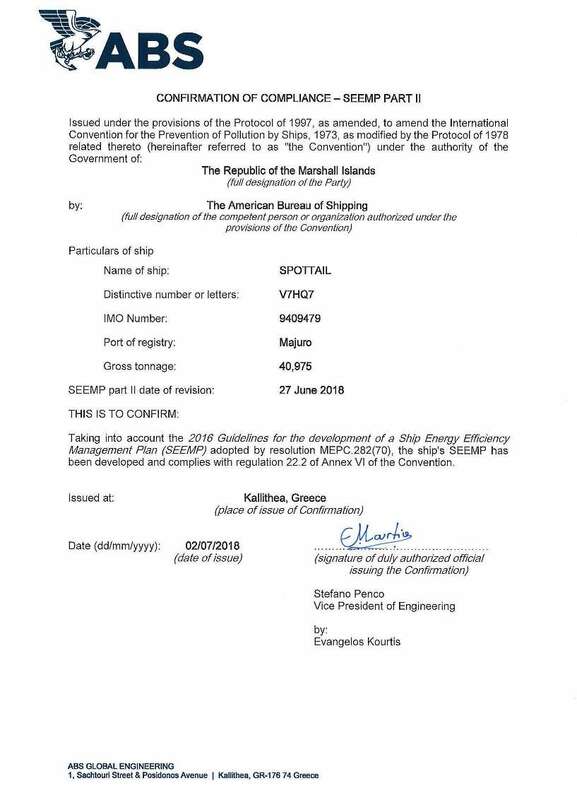 Prime announces that on Monday 02 July 2018 became one of the very first shipping companies globally that receives the Confirmation of Compliance – SEEMP Part II and the Review letter of DCS by the American Bureau of Shipping (ABS) on behalf of the Marshall Islands Administration. 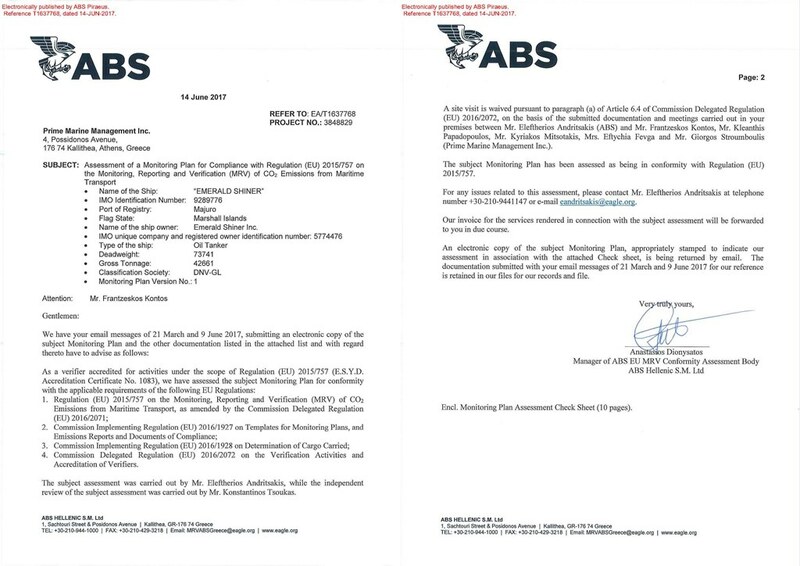 Ship Energy Efficiency Management Plan Part II was prepared for vessel M/T Spottail in collaboration with Alpha Marine Consultants. The ship’s SEEMP has been developed and complies with MARPOL Annex VI Regulation 22 A and IMO Resolution MEPC.282 (70) “2016 Guidelines for the Development of a Ship Energy Efficiency Management Plan (SEEMP)”, as amended by MEPC.70/18/Add.1/Corr.1. Prime Marine is very proud to announce the delivery of a wheelchair to the Social Service of the Municipality of Lykovrisi-Pefki. 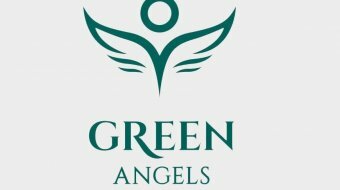 Being an active member of Green Angels we have the opportunity to participate in such well-organized programmes and to enhance our Corporate Social Responsibility Efforts through targeted actions that increase also our environmental awareness. 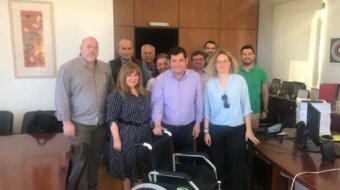 This action is implemented further to Green Angels’ Initiative to collect plastic caps which are destined for recycling in order to be “turned into” wheelchairs for our fellow humans in need. A wheelchair is equivalent to a ton of caps; equivalent to about 540,000 pieces of plastic covers. Prime’s employees manager to gather a large number of plastic caps within short period. Specifically, on the first Semester of 2018 Prime delivered to Green Angels two full bags with plastic caps of 68kg and 74kg accordingly with the aim not only to recycle plastic caps but also to turn them into wheelchairs that will be offered to our fellow humans in need. This particular initiative is being implemented in partnership with the Pan-Hellenic Association for the Prevention of Traffic Accidents “Love for Life” and it combines the important environmental objective of recycling with a great social act. Prime is very proud to announce that 23 vessels of Prime Tanker Management Inc. and Prime Gas Management Inc. have been enrolled to United States Coast Guard Qualship 21 Program. On January 1, 2001, the Coast Guard implemented an initiative to identify high-quality ships, and provide incentives to encourage quality operations. This initiative is called QUALSHIP 21, quality shipping for the 21st century. By closely examining Port State Control Data from the previous 3 years, the characteristics of a typical “quality” vessel are identified. A quality vessel is associated with a well-run company, is classed with a Flag Administration with a superior Port State Control record & has an outstanding Port State Control history in U.S. waters. 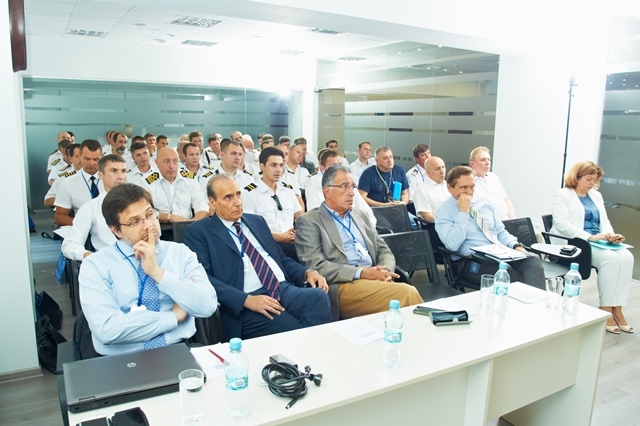 The enrolment in the program is based on specific eligibility requirements regarding vessel detentions in the U.S. within the previous 36 months, marine violations or serious marine casualties & successful U.S. PSC Safety Exam within the previous 12 months. 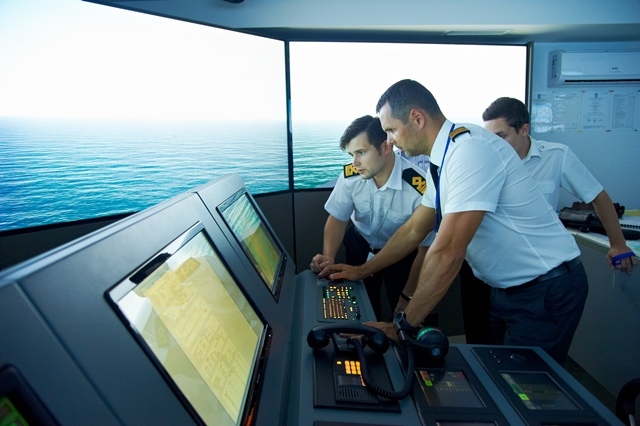 Thus, less than ten percent of all foreign – flagged ships that operate in the United States meet the eligibility requirements of this program. This recognition of superior achievement motivates our company to continue striving through commitment to quality and operational integrity. Prime is pleased to announce the acquisition of FSL Holdings Pte. Ltd., taking over the control of the Trustee-Manager of First Ship Lease Trust (“FSL”), a Singapore-based business trust which currently owns a diversified fleet of 19 modern and high-spec oceangoing vessels across major shipping sub-sectors. The units of FSL are traded on the Singapore stock exchange (SGX-ST: D8DU). Prime Marine as a member of Green Angels supported the second Joint Action of Members entitled GreenAthlon with central slogan “We Give Breath to Our Hymettus”. 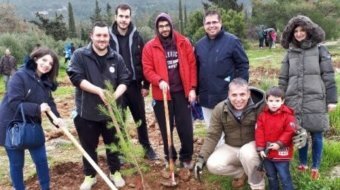 On Sunday, February 25, 2018 the company participated in the promenade which, for the first time, was combined with environmental action, where for each participation an additional tree was planted at the foot of Hymettus. Prime Marine based on her sensitivity to environmental issues and as a warm supporter of actions of Green Angels, took part in this action and planted plenty of trees under the guidance of experienced people who also offered the appropriate equipment. With a fascinating view and with the aim of reforesting and protecting a significant part of the mountain, the great co-organization aspired to give breath to Hymettus but also to sensitize citizens and especially young children about the importance of the forest in the Attica Basin. The action has been implemented in cooperation with the Municipality of Papagos – Cholargos and the Municipal Organization of Sport, Culture and Environment. 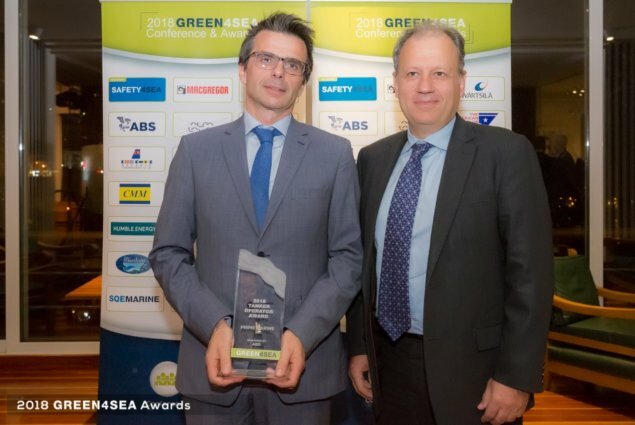 We are glad to inform you that Prime Marine ,is one of the 5 shortlisted nominees for the GREEN4SEA Tanker Operator Award. It is worth mentioning that it is the only Greek company competing in this category. The winner will be elected by audience vote. · Scroll Down & cast your vote by clicking the Logo of our Company (a tick appears). Kindly find below our company’s achievements relative to the nomination. On 13.12.2017 Prime Marine completed successfully the ISO 14064-1:2012 Verification regarding the GHG emissions (CO2equivalent) related to Office operations. Prime has engaged Greenit Environmental & Green Angels to measure Company’s organizational carbon footprint in accordance with our company’s policy. The footprint assessment has been calculated based on company’s air conditioning & refrigeration system performance, purchased electricity, business travels, employees’ commuting & waste management & disposal. This carbon footprint report covers the whole calendar year of 2016 (01-01-2016 to 31-12-2016) and is based on the relevant company’s data. It enables our company to compare our performance against previous and next years, monitor the organization’s progress in relation to our carbon management strategy, and also plan ahead future carbon emission reductions. The footprint assessment has been calculated using the Greenit Environmental Software Platform and its associated methodology (based on International standards such as GHG Protocol and ISO 14064-1:2012) which has been verified by the independent certification body of EUROCERT – European Inspection & Certification Company. The company received on 21st December the verified Prime Carbon Footprint Report for 2016 along with the relevant ISO Certificate. Prime Marine has adopted 2016 as its baseline year and is committed to a 1% year to year reduction in total carbon GHG emissions from company’s air conditioning and refrigeration system & from purchased electricity per employee until 2020 (4% reduction in total carbon GHG emissions from the above mentioned company’s operations per employee until 2020). 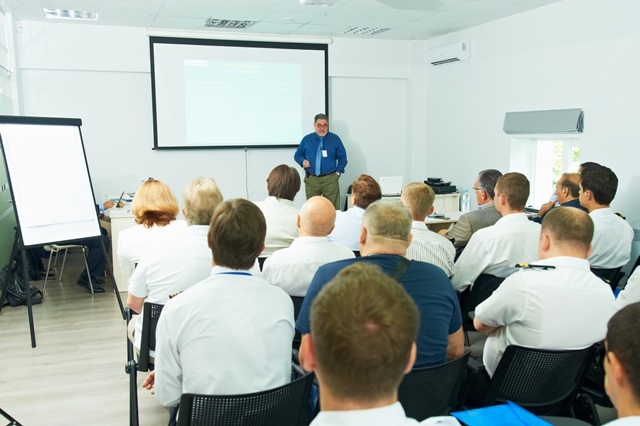 It was conducted in Odessa UKRAINE 19-21 June. Like it is the tradition for the first Conference of the year, Prime was represented by a delegation of almost all of the Departments Managers or Deputies. Equally, the participation of Officers was high and included all ranks from Master to cadet making an audience of more than 60 participants. 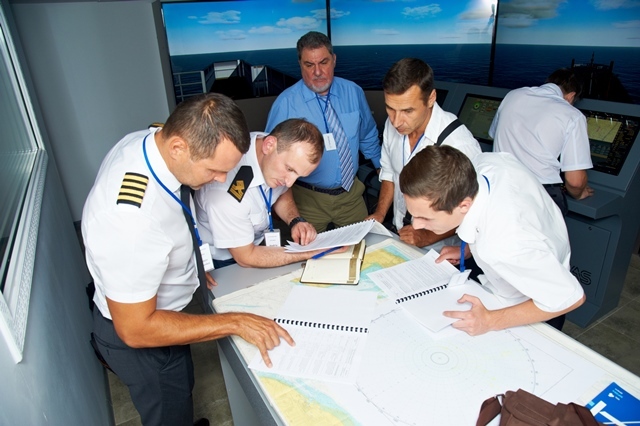 The Conference was hosted at the UNIVIS premises while the Simulator facilities of UNITRAIN were used for practical exercises in navigation. The discussion made was useful and constructive and covered issues like Company’s policies and KPIs, new regulations, safety, quality, vetting, maintenance and environmental issues, while the Company’s Doctor presented hygiene on-board. Particular emphasis was given to the new computerized procedures as well as to paperless navigation. The Officers were encouraged to ask questions and make proposals that resulted in an “Action Plan” for further evaluation and actions where feasible. 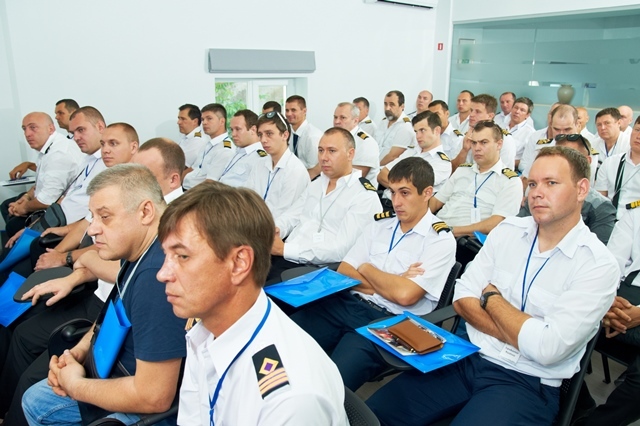 The 2nd Conference of year 2017 for Tankers Officers will be conducted in Odessa in October or November. M/T Muskie with IMO No. 9256638, manned with 26 crew members, while sailing with speed of 13.0 knots from Fujairah to Rabigh transiting Bab el-Mandep straits, in laden condition with a cargo of fuel oil, reported armed pirates in a boat chased and fired upon the vessel (position 12.35.03,82 N and 043.25.48, 34 E, date 31 May 2017, time 06:50 UTC). There was a private armed security team on board, consisting of 4 persons, which presented arms and fired warning shots when the suspicious motor skiff commenced heading towards the vessel. The Master notified the Company while the non-essential crew retreated in the citadel. The unknown assailants on the motor skiff fired with AK-47 shots and launched 3 rocket-propelled grenades (RPG) targeting the vessel. The security team then fired against the pirates while the vessel executed evasive manoeuvres and as a result the attack was aborted. A second skiff following at a distance did not intervene and abandoned the scene. The motor skiff was left behind and the vessel, with all crew (including armed guards) safe, continued her voyage to Rabigh. Out of the 3 RPGs one blew over the wheelhouse and the other overshot resulting in minor damages to insulation, panelling, lighting and one antenna. Vessel’s communication and Navigation equipment is fully operational. The vessels in the vicinity, naval forces in the area, the Flag Administration, Maritime Security Centre (MSCHOA) and the United Kingdom Maritime Trade Operations (UKMTO) have been notified of this incident. M/T Muskie with IMO No. 9256638 on the way from Fujairah to Rabigh transiting Bab el-Mandep straits, in laden condition, reported armed pirates in a boat chased and fired upon the vessel underway. The on board security team was mobilised resulting in the pirates aborting the attack. 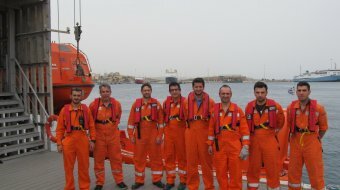 All crew are safe and the vessel continues her voyage. 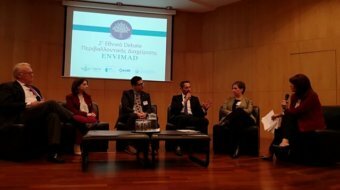 On Tuesday 25/04/2017 “Green Angels”, the Greek Community for Environmental Responsible Business founded by ICAP Group and Greenit Environmental, had their 1st National Debate in cooperation with Hellenic Institute of Production & Operations Management (EIDIP). 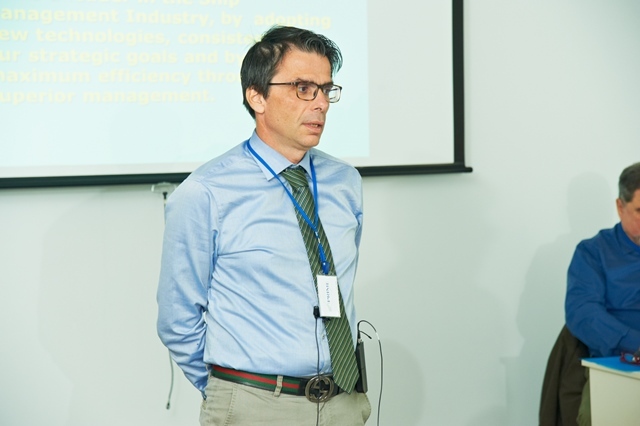 Prime Tanker / Gas Management presented some of the adopted energy efficiency measures/practices like the use of new generation A/F Paints, the development of in-house software for vessels’ performance evaluation, a theoretical approach on ship’s efficiency, the installation of Energy Saving Devices (e.g. 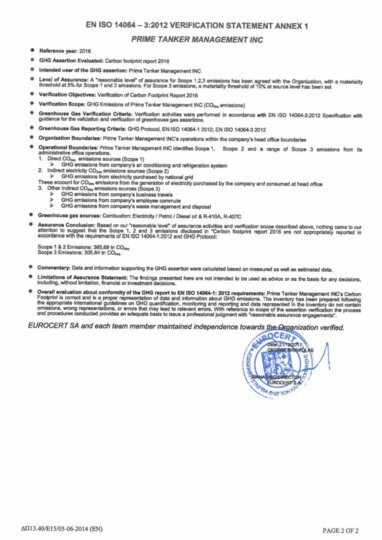 Becker Mewis Duct), the installation of PYTHIA Engine Monitoring & Diagnostic tool the ISO 14001 & ISO 50001 certification, etc. Please visit the following link https://goo.gl/w41EHI for relevant press release. During February 2017, M/T “Lake Sturgeon” had her 5-year scheduled dry dock in the Arab Shipbuilding & Repair Yard Co. (ASRY) in the kingdom of Bahrain. 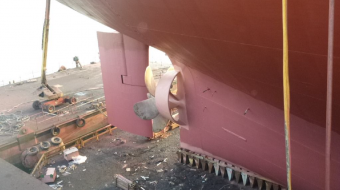 Prime Tanker Management Inc. has decided to install the “Becker Mewis Duct”, an energy saving device that its positive results have been already proved after installations on other company’s vessels. Furthermore, advanced painting scheme by Chugoku Paints, applied in vessel’s hull. Seaflo Neo CF Premium applied in vertical sides, that is a unique zinc polymer antifouling product based on Selectope’s pharmacological action. Selectope®, developed by I-TECH AB, repels barnacle settlement on ships’ hulls by temporarily stimulating the barnacle’s larvae’s swimming behavior. Sea Grandprix 880 HS, applied on the bootop & flat bottom, is a hydrolyzing self-polishing antifouling paint with highly advanced biocide release rate controller. 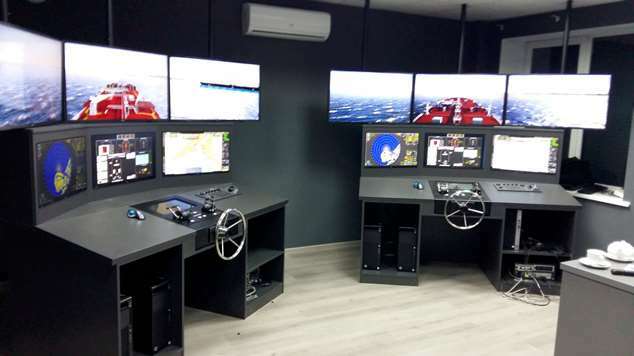 Prime Tanker Management Inc. insists on seeking and exploring innovative solutions in order to improve, continuously, its vessels’ energy efficiency and environmental performance. Seaflo Neo CF Premium application is among the very first ones, worldwide. 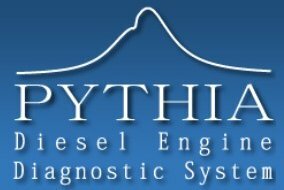 PYTHIA is a Diesel Engine diagnostic and monitoring system developed by Dr Dimitrios T Hountalas, Professor for Internal Combustion Engines, School of Mechanical Engineering in the NTUA. The diagnosis is mainly achieved by processing of the measured cylinder pressure data. During May 2016, M/T “Lake Trout” had her dry dock in the Arab Shipbuilding & Repair Yard Co. (ASRY) in the kingdom of Bahrain in order her performance, in terms of fuel / energy efficiency to get improved. 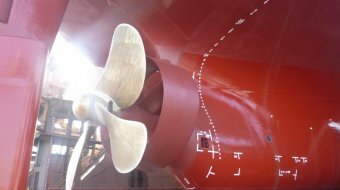 In this context, Prime tanker Management Inc. decided to install the so-called “Becker Mewis Duct”, an energy saving device that its positive results have been already proved in other company’s vessels. On 10 & 12 May 2016, Prime’s office staff attended a free fall and conventional lifeboat maintenance course combined with real drills in Norsafe’s training facilities in Lavrio, Greece. 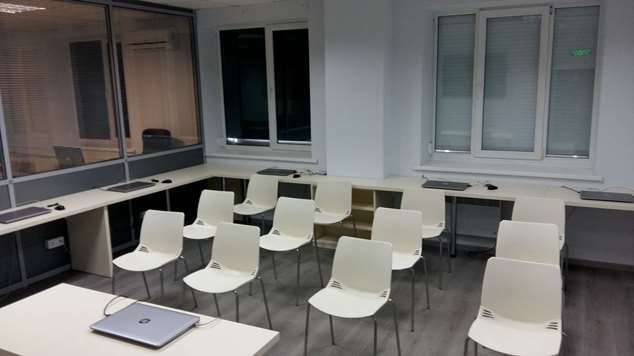 A theoretical course had been preceded in Prime’s Training Centre. 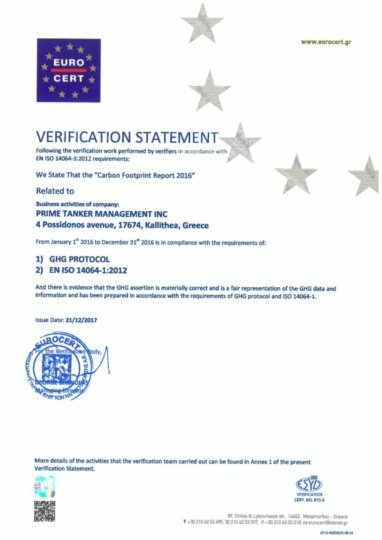 Since September 2015, Prime is member of “Green Angels”, a Standard Greek Community for Environmental Responsible Business founded by ICAP Group and Greenit Environmental. The main objective is the activation of business community for coordinated reduction of the environmental footprint in Greece.